I had photo passes for KISS Alive 35 in Australia. Wow, amazing picture! Love this! Very good moment! 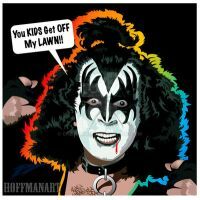 I love Gene! he's awesome! and so is ! keep it up bro! ... and rock n roll!! Just got back from a kiss concert last night in chicago, man it was awesome. great pic too. Thanks. Lucky you!! I have not seen KISS live in over 2 years now as I live in Japan/Australia! this was an AWESOME concert! i went last night! ^^ (AZ) umm questino... when ace did the guitar fireworks thing, did he knock the light down? i wanted to know if that was staged or not xD... I WAS IN THE CONFETTI STORM!!!! That is not fair. I wish I could have been that close to the stage. I went to the concert that they had in Cleveland, OH and it was amazing but I was half way across the arena. Great picture! That is the only time I have been so close. I know how you feel. Usually I am WAY across the other side of the arena. Man...I wish I got tickets... Was it awesome? Wait...what kinda of stupid question is that?! OF COURSE It was AWESOME! Hopefully you can see them in future. you have their scheduele for their tour next year? 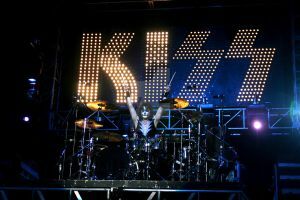 KISS was freakin´ awsome in Oslo - Norway..
Keith, Beautiful shot as always. Loved seeing them in melbourne, and I never made the connection that this DA account was YOU!. I was the Guy in the Destroyer Gene costume at The Grand Prix Show. My mate "Paul: and i got shots with you and George after the concert! Yeah I remember you and your mate. A rocking good time was had by all. awesome! I can't wait to see them in Denmark in june..
would have loved to shoot this show....the lighting setup was insane!!!! and that Photo is very cool! 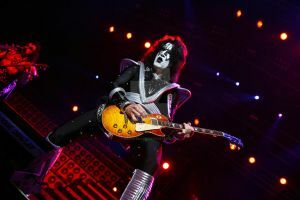 I am sure KISS will give you an awesome show in Germany.!! 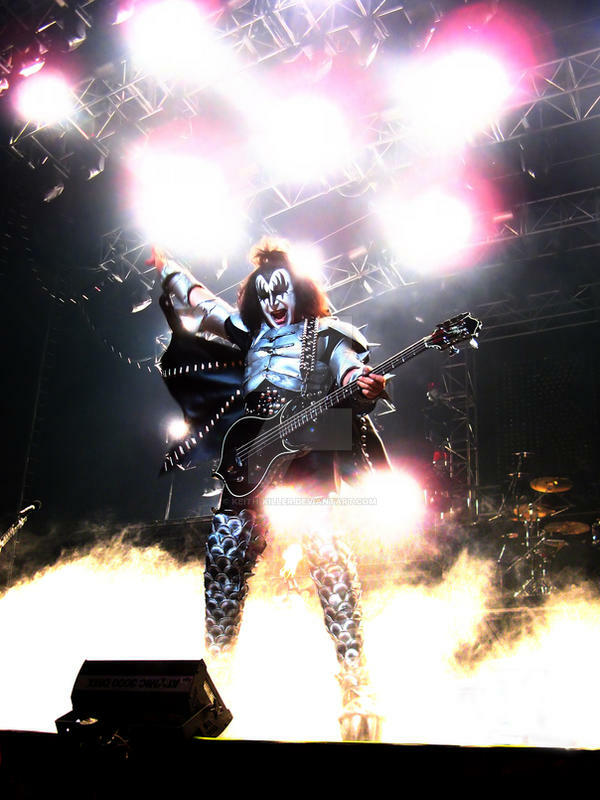 gene simmons is the man awesome capture! !